Enjoy time to relax this evening and spend time exploring the vibrant city of Darwin at your own pace. If you happen to be in Darwin on a Thursday or Sunday between April and October be sure to visit the famous Mindil Markets, which are famous for its food and colourful arts and crafts. Darwin Tour with Hotel Pick Up, Overnight Accommodation. Luxury Coach Tour with Hotel Pick-Up, Yellow Water Billabong Cruise, Optional Guided Walks, Tropical Buffet Lunch, Overnight Accommodation. 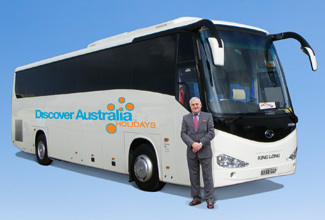 Luxury Coach Tour with Hotel Pick-Up, Cruise Along Adelaide River, Overnight Accommodation. You have 3 choices of accommodation in Darwin. Our "Good Standard" central Darwin hotels have great facilities, a comfortable room and friendly service (typically 3.5 stars). Alternatively, why not treat yourself? The "Deluxe" hotels have superior facilities, stylish rooms and first class service (typically 4 stars). The “Luxury” hotels are upscale with a more luxurious feel for the discerning traveller and great for celebrating an anniversary (typically 5 stars). You’ll receive the FREE DISCOVER AUSTRALIA Bonus Voucher Book that includes $500 value of discounts and bonuses throughout Darwin and the NT at shops, restaurants attractions, wineries etc. 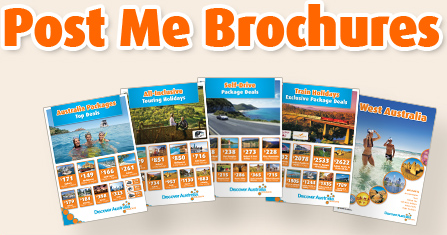 It’s a great way to save even more on your Darwin holiday. The Darwin Essentials is very popular. Many dates book out well in advance, please book soon.